This page is dedicated to GROUNDHOG, my 6502 computer endeavor. 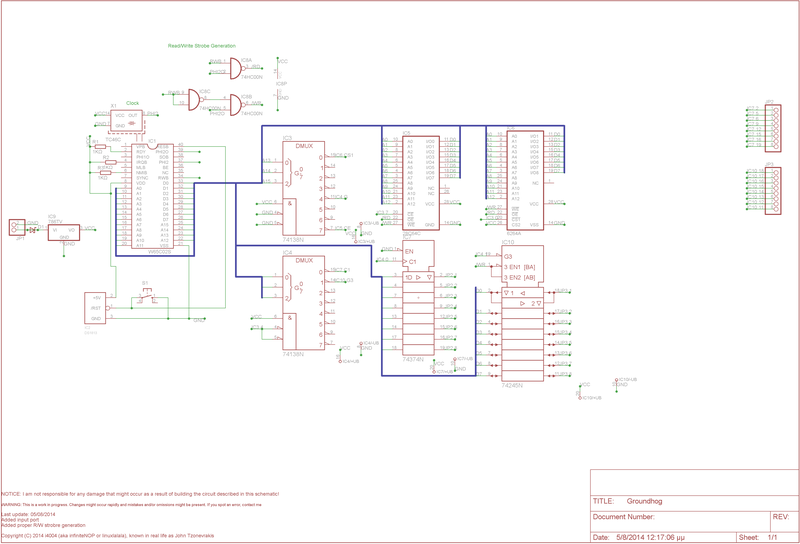 This schematic is under copyright (C) 2014 i4004 aka infiniteNOP, although I might later release it under a CreativeCommons license. NOTICE: I am not responsible for any damage that might occur as a result of building the circuit/using the information provided in this page! Click here to view the picture. Thumbnail coming soon. Don't you think we have enough 6502-based projects floating around? Well, Indeed there are many 6502 projects out there but, it is my opinion that, since the goal of such projects is the creation of a one-of-a-kind computation system that is completely understood by its creator, the point of such projects is reaching understandment on the basic concepts that govern computers, creating the system and sharing the details in order to help other people who wish to embark on such an endeavor. 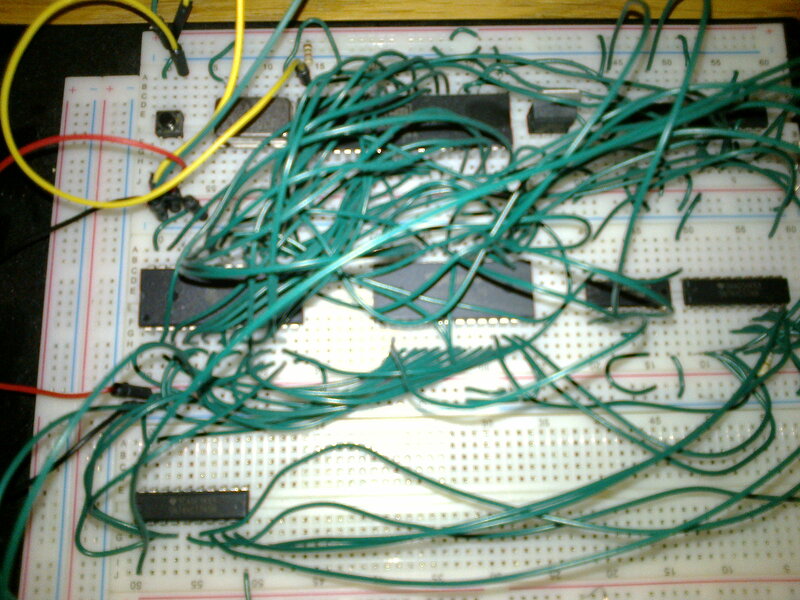 The goal of this project is the creation of a 6502-based computational system, while avoiding the use of official peripherals, such as the VIA, PIA and ACIA. Why choose the name "Groundhog"? Because I cannot think of anything better right now. The name might change sometime in the future. Yes it is. Take a look at the pictures.